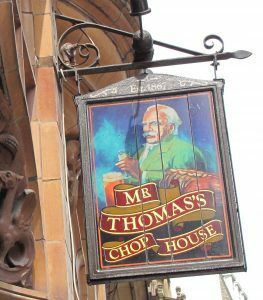 I am just back from England where one of my favourite restaurants is Mr. Thomas’s Chop House. Note the apostrophe plus the “s.” This is the latest British rule for making a name ending in “s” possessive is to simply add an apostrophe plus an additional “s” — on everything. North American rules, however, differ. We add an apostrophe plus “s” only on words that are one syllable. If the names are two syllables or more, we add only the apostrophe. I am looking forward to when this North American rule catches up with the British. It will make things easier. Grammar Tip - Quotation Marks: 'Single' or "Double"?